High Luxury or Absolutely Affordable? December 2018 - Video: Do You Pick High Luxury or Absolutely Affordable? Cost vs. Value: Jeanette's virtual tour of the most luxurious vs. the absolutely lowest priced homes in Northern Colorado. September 2018 - Video: New Broadband Network coming to the City of Fort Collins! Your look inside the Fort Collins Connexion. Incredibly fast internet for all by 2022! Your look inside the I-25 Northern Colorado Expansion project. See the big changes coming our way! Do you or someone you know own a townhome or condo? Here is important information that can save you money. Questions about this or anything else about real estate in Northern Colorado? Send me a text, shoot me email or give me a call at 970.481.9340! The Equifax data breach got you worried? Here are the 3 things we all need to do today to protect our personal information. A credit freeze not enough. Don't stop there! Thank you April Undy for sharing this great article from ConsumerReports.org. Your first look inside the nearly-complete 250,000 sq. ft. outdoor store opening Sept. 30 in Johnstown. This is the Disneyland of retail right here in Northern Colorado. Check out the 16,000 gallon aquarium and see the Ferris wheel in action! How to save for a home Colorado Tax Free? June 2017 - Video: "How to save for a home Colorado Tax Free?" You or someone you care about is eligible. Learn about this new Colorado Home Buyers Savings Account program. Questions? Send me a text, shoot me email or give me a call at 970.481.9340! You have until May 31 to file your protest - here's how! Need assistance? If the assessor has a higher opinion of the value of your home than you do then Jeanette can help you make your appeal. Welcome to your 2017 Insight for Insiders! In this video, Jeanette shares the 4 Need-to-Know Trends Happening Now in Northern Colorado. Want to talk about this information? Have a question? Please send Jeanette a text, shoot her an email or give her a call. She will be glad to talk to you! How accurate is your Zestimate? December 2016 - Video: "How accurate is your Zestimate?" In Larimer county, Zillow's error margin is 4.4% for about 55% of Zestimates. The other 45% are off by more. In Weld county, 67% of Zestimates have a 3.3% median error factor; 33% of the time, Zillow misses the mark by more. Watch the video and when you want an accurate value of your home or any property in our area, give Jeanette a call! October 2016 - Video: "Where is everyone coming from?" Jeanette answers the question, "Where is everyone coming from?" Larimer County’s population is just over 333,000 people, and projected to grow 1.5% to 2% per year. Almost all of our population growth is accounted for by our neighbors moving in with us. Play the video for more information! 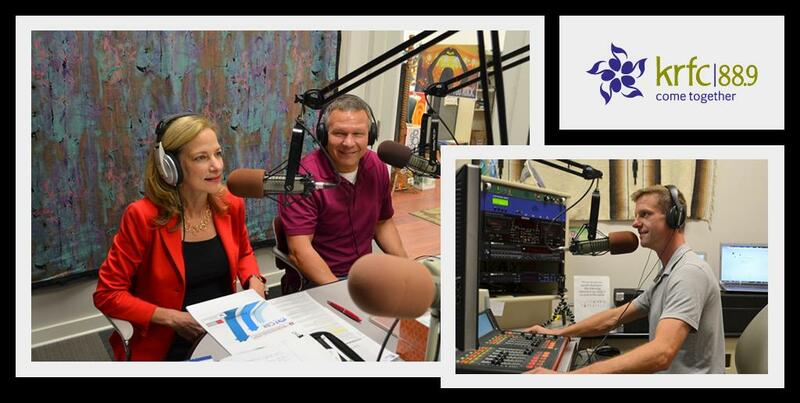 October 2016: Jeanette Meyer was a featured panelist on the KRFC 88.9 FM Fort Collins Real Estate Radio Show with Radio Host Paul Wozniak. Topics covered included shortage in housing inventory, price escalation in the marketplace, how to determine the value of your home and the stability and long-term strength of the Fort Collins housing market. Jeanette was joined by fellow panelist Axel Siverts, Mortgage Loan Originator, Home Mortgage Alliance. Is Fort Collins in a housing bubble? August 2016 - Video: "Is Fort Collins in a housing bubble?" Jeanette answers the question, "Is Fort Collins in a housing bubble?" Jeanette walks you through the stability of the market and price increases over time, based on information from SmartAsset.com. March 2018: Jeanette Meyer is once again the WINNER of the Quality Service Certified® Platinum award, the highest level of service achievement in the real estate industry. The award is in recognition of earning 100% client service satisfaction in 2017, as measured by Leading Research Corporation (LRC). Making this the 6th year Meyer has received Platinum status and 13th consecutive year over all that Meyer has received QSC award status recognition. Quality Service Certified (QSC) is the only award in the real estate industry based on independently validated, measurable service results from past customers. June 2017: Jeanette Meyer is a winner of the 2017 Five Star Professional Real Estate Agent Award, presented to outstanding real estate brokers in the greater Denver area. The award was presented to only 3% of the 27,527 real estate brokers in the market. This is the second year in which Jeanette has receive the award, which is based on client nominations for outstanding professionalism and commitment to service. Five Star Professional is an independent research company. The award is based on research from recent home buyers, a scoring evaluation and broker production history. Nominees are put through a regulatory review and vetted by a Blue Ribbon Panel made up of industry professionals, mortgage lenders and Realtors®. February 2017: Jeanette Meyer of Meyer and Associates at RE/MAX Alliance ranked #3 out of 115 Alliance real estate brokers in closed property sales for the year 2016. She ranked #16 out of 225 northern Colorado Alliance real estate brokers. Meyer is in her 16th year as a residential Realtor® serving Fort Collins, Loveland, Windsor, Wellington, Severance, Eaton and surrounding areas.